Mr Green has signed an agreement to acquire Evoke Gaming including the gaming sites Redbet, Vinnarum casino, Bertil and MamaMia. Mr Green expects to achieve significant synergies and intends to expand Redbet in Mr Green’s existing and future markets. The purchase price amounts to EUR 7 million and will be paid in cash. An additional purchase price of EUR 1.5 million may be payable if certain conditions are met. The price is calculated on enterprise value (debt free basis). Mr Green is acquiring all shares in Evoke Gaming Ltd from Bonnier Growth Media. The acquisition will not have any impact on Mr Green’s EBITDA for 2018. There will be a marginally negative impact on cash flow for 2018. The acquisition will contribute positively to Mr Green’s EBITDA and cash flow as of 2019. Mr Green expects to achieve synergies of EUR 2.5-3.5 million per year with full effect in 2019. In 2016, Evoke Gaming’s revenue amounted to EUR 15.5 million and EBITDA to EUR -4.6 million. For the first nine months of 2017, revenue amounted to EUR 7.4 million and EBITDA to EUR -4.4 million. In 2017, revenue and earnings were negatively impacted as a result of the migration to a new technology platform and restructuring measures which are expected to be finalized by the time of the completion of the transaction. Evoke Gaming currently has 82 employees, all of whom work in Malta. Following the relaunch of Redbet and Vinnarum before summer 2017, the sites have demonstrated favourable growth. Mr Green’s financial targets of an annual growth rate of 20 per cent and an EBITDA margin of 20 per cent by 2019 will be unaffected by the acquisition. At 30 September, Mr Green’s net cash amounted to SEK 567.6 million. 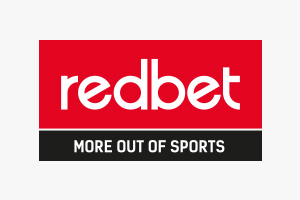 Redbet offers sportsbook, casino and poker, and holds a strong position, primarily in Sweden and the UK. Mr Green believes that Redbet has major potential to grow in parallel with Mr Green and develop into a global brand. Vinnarum casino commands a solid position in the Nordic region with a high share of returning customers. Bertil and MamaMia are bingo sites with loyal customers and a strong position in Sweden. Mr Green intends to continue operating Vinnarum casino. Bertil and MamaMia are considered to have the potential for continued expansion, primarily in the Nordic region. “Evoke Gaming is on the threshold of a significant turnaround. Mr Green will give us the muscles to continue growing internationally in an effective manner,” says Fredrik Staël von Holstein, CEO of Evoke Gaming. Fredrik Staël von Holstein will remain as head of Evoke Gaming’s operations after the transaction has been completed and will become a member of Mr Green Ltd’s management team in Malta. The acquisition is subject to the customary regulatory approval. The transaction is expected to be completed in the first quarter of 2018. Vinge, WH Partners and KMPG are advisers to Mr Green in the transaction. This information is information that Mr Green & Co AB is obliged to make public pursuant to the EU Market Abuse Regulation. The information was submitted for publication, through the agency of the contact person set out above, at 8.00 p.m. CET on 18 December, 2017. Mr Green is a leading online gaming company with operations in twelve countries. The business concept is to offer entertainment and a first-class gaming experience in a responsible environment. The business was founded in 2007 and has developed into a well-established online gaming company with a broad customer offer and a strong globally viable brand. In 2016, Mr Green generated sales of SEK 924.5 million and the company has over 200 employees. The headquarters and technical development are based in Stockholm, and operations in Malta. Mr Green has gaming licenses in Malta, UK, Italy, casino license in Denmark and Sportsbook license in Ireland. The company is listed on Nasdaq Stockholm’s main market. Read more at www.mrg.se. MRG is a fast-growing, innovative iGaming Group with operations in 13 markets. MRG offers a superior experience in a Green Gaming environment. MRG was founded in 2007 and operates the iGaming sites Mr Green, Redbet, 11.lv, Winning Room, Bertil, MamaMiaBingo, BingoSjov and BingoSlottet. The Group had a turnover of SEK 1,192.0 million in 2017 and has over 370 employees. MRG has gaming licenses in Denmark, Ireland, Italy, Latvia, Malta, Sweden and the UK. MRG is listed on Nasdaq Stockholm in the Mid Cap segment under the name Mr Green & Co AB (ticker MRG). Read more at www.mrggroup.com.